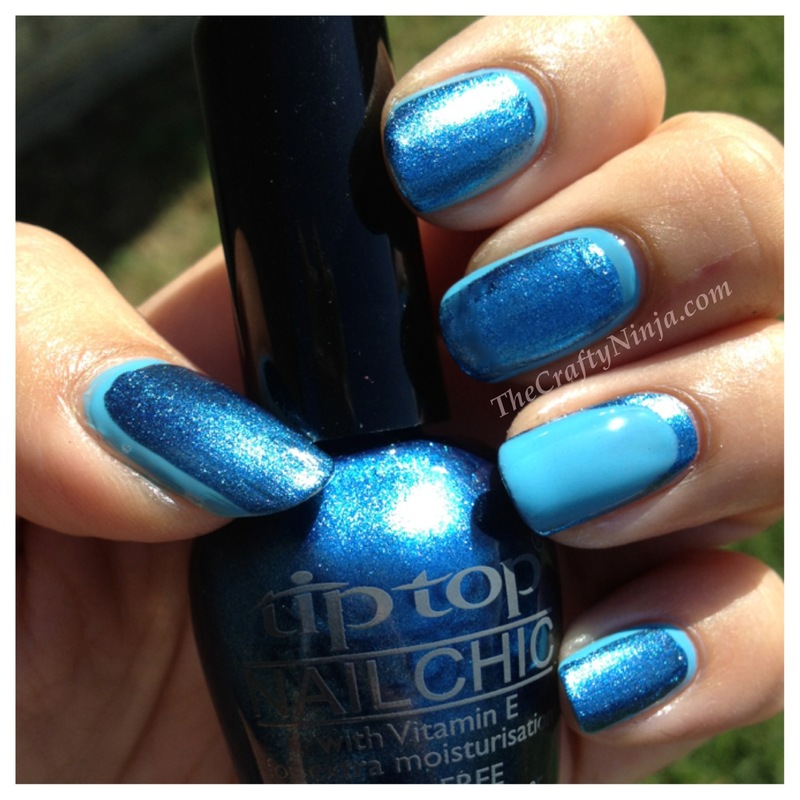 I received Tip Top Nail Chic Astronaut, which is a nice shimmery deep blue, and Tip Top Nail Chic Beach Babe, which is a bright pastel blue to create this nail tutorial. I love Tip Top Nail Chic polishes, check out there Facebook page here. 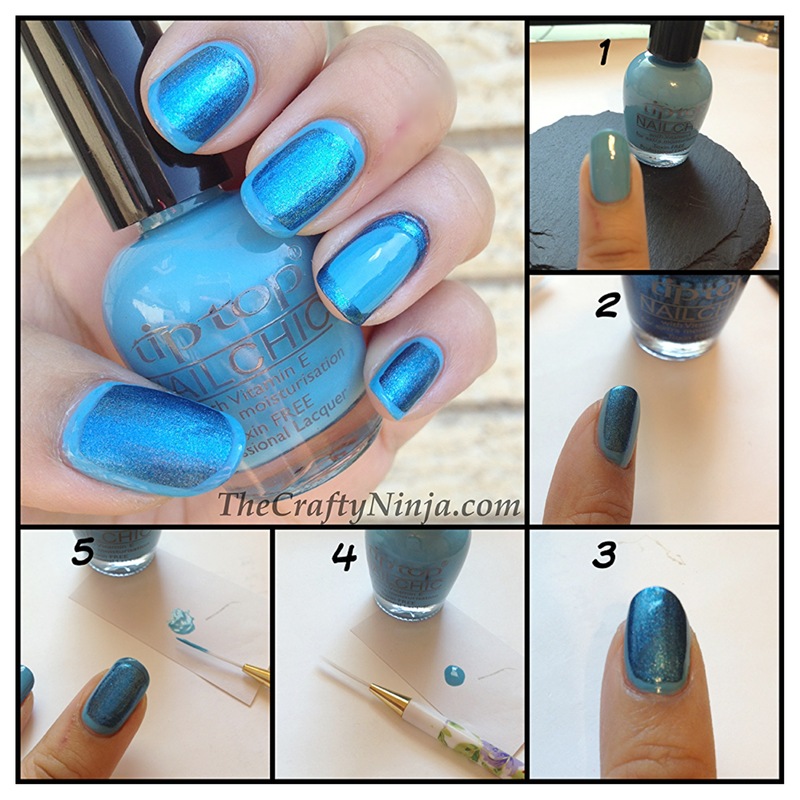 Also check out my other tutorials using the Tip Top nail polishes here and here. 1. First paint two coats of Tip Top Nail Chic Beach Babe. 2. Starting from the edge carefully paint Tip Top Nail Chic Astronaut, leaving a slight border around the sides. 3. Then dabbed a small amount of Beach Babe on a piece of paper and have your nail brush ready. 4. Dip the nail brush into the nail polish and paint the tips to complete the border. For my accent nail on the ring finger I did the opposite colors.